The iPhone-Dev team just released PwnageTool 4.1.3 that can be used to unlock iPhone 3G and iPhone 3GS on iOS 4.2.1. New PwnageTool 4.1.3 supports iPhone 3G and 3GS with modem firmware 05.14.02, 05.15.04 and higher. Before unlocking you need to jailbreak your idevice on iOS 4.2.1. PwnageTool 4.1.3 is Mac only tool, and Windows users should wait for the upcoming Redsn0w release. The iPhone-Dev is also working on iPhone 4 carrier unlock for iOS 4.2.1 and would come out in the coming days. This tool is called PwnageTool 4.1.3 Unlock Edition and is around 30 MB in size. If you are not able to download PwnageTool 4.1.3 from the official torrent mirror, you may try the direct Hotfile download here. Download the iOS for iPad version 3.2.2 here. Download iOS 4.2.1 for iPhone 3G or 3G S here. Keep both files in the same folder. 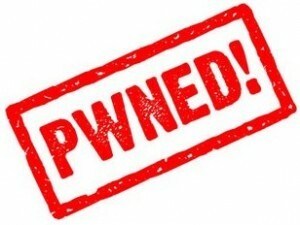 Run PwnageTool 4.1.3 (Expert Mode). Select your iDevice model and click the blue button. Browse to the iOS4.2.1 ipsw file downloaded. Click yes in the warning popup window appearing and browse to the location of the iPad OS 3.2.2 ipsw file. In next page, click general. In options, check the boxes – update your basedband and activate the phone (if you are using a carrier locked device). Click next. The next page will be Cydia settings page, where you can select to pre-install jailbreak apps. Click Next. In custom package settings, select Cydia installer and continue. Now PwnageTool 4.1.3 will build a custom IPSW file that you need to save to your desktop. Open your device in the DFU mode and use the custom firmware for restore with iTunes. This will upgrade the modem firmware to version 06.15.00. After upgrading your baseband, you can unlock your iPhone 3G or 3G S using the new Ultrasn0w 1.2 from Cydia. Now click on edit and add source as http://repo666.ultrasn0w.com. Go back to Cydia and click on done from the top right section. Move on to the sources section and install ultrasn0w from the menu. Reboot and your are done. 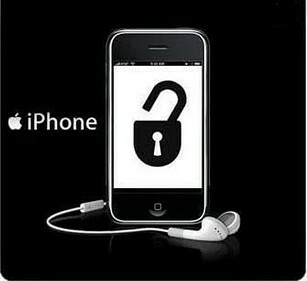 Update: Download Redsn0w 0.9.6 b5 for iOS 4.2.1 unlock on iPhone 3G and 3GS. what programming language they used to develop iPhone? Press Options key (Mac) + Restore button (iTunes) and point it to the downloaded iOS ipsw file. after i get the custom 4.2.1 ipsw and try to restore with itunes version 10.1.1, it always fails authentication with apple server. how do i get past this~~!? Before I start jailbreaking with this guide, do I have to have installed 4.1.2 from apple ?